‘Awesome’, ‘tastes good’, ‘kind of like Arugula’ and ‘that’s fresh’ are the responses of Astronauts Scott Kelly, Kjell Lindgren, and Kimiya Yui of Japan after taking their first bites of food grown on the International Space Station on Monday, August 10, 2015. The astronauts sampled fresh red romaine lettuce, the first food to be grown, harvested and eaten in space. Food growth studies are very popular with SSEP student teams because of their relevance to long duration space travel. Lettuce growth experiments in particular flew with SSEP Missions 5 and 6 to the ISS. Just like the NASA Veg-01 Experiment, teams from Long Branch, New Jersey, Rockland County, New York, and Hillsborough County, FL, studied the growth or germination of lettuce in space. Will microgravity affect the germination/growth of lettuce seeds? Abstract: The purpose of the experiment is to observe the effect of microgravity on the growth/germination of lettuce seeds. Our experiment will measure for the rate of the germination of lettuce seeds. Seed germination is so critical and not very well understood in microgravity. Lettuce and other vegetables will expand the in-orbit food capabilities and will allow for astronauts to have fresh food. 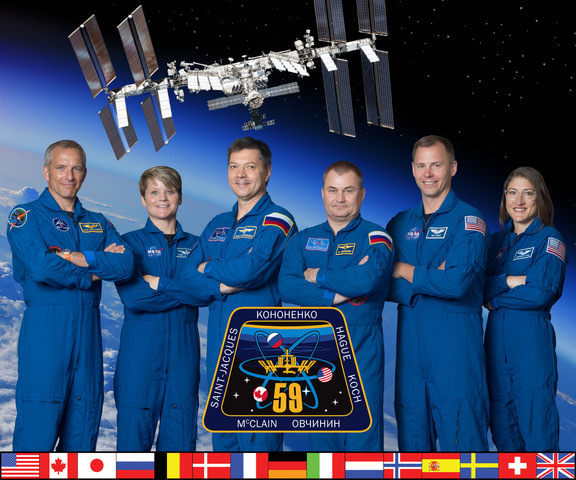 Abstract: The purpose of the experiment is to see if lettuce will germinate in microgravity. After the experiment we will observe if microgravity will have a positive, negative, or neutral effect on growth. We will compare the sample from the ISS to our ground truth by observing germination from both tubes. If the lettuce germinates in microgravity astronauts can eat lettuce on long space flights. This will provide the astronauts the opportunity to eat fresh vegetables while on extended space voyage. Abstract: This experiment explores the effect of farming in microgravity using hydroponics, and how is it different from plants grown on Earth using the same method. In this experiment a lettuce seed will be grown from seed using a solution of miracle grow on the international space station to assess the effect of microgravity on the growth of a lettuce seed. If the seeds grow more efficiently in microgravity that could help grow plants on earth under the same protocols.